Esther Hobart Morris (August 8, 1814 – April 3, 1902), was the first woman Justice of the Peace in the United States. She began her tenure as justice on February 14, 1870, serving a term of less than nine months. 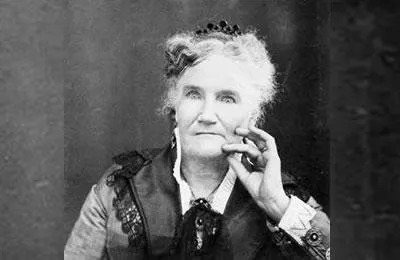 Esther Hobart was born in New York on August 6, 1814. Hobart agitated as a young woman against slavery, reportedly during one incident countering efforts of slavery advocates who threatened to destroy a church that supported abolition. Judge Morris ruled on 27 cases during her more than eight months in office, including nine criminal cases. She held her justice of the peace post until the term that she had been appointed to fill expired on December 6, 1870. Wyoming’s enactment of women’s suffrage in 1869 prompted a surge forward for human rights in the United States. Moreover the Territory’s appointment of Morris as the first woman justice of the peace in the United States in 1870, and the first woman to hold judicial office in the modern world, drew widespread national attention. Esther Hobart Morris died on April 3, 1902, at age 87.